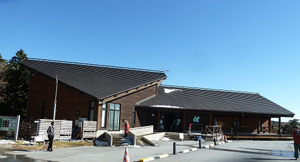 Ugui Visitor Center is a facility that offers an introduction to the natural environment, culture and history of the Ugui Peninsula and the Yoshino-Kumano National Park. It provides nature information through a range of exhibits, and organizes events such as nature observation events, lectures and photograph exhibitions. With annual rainfall of over 3,500mm, Odaigahara Plateau has the highest rainfall in Honshu (Japan's Main Island). The area has preserved forest ecosystems that are native to Kii Peninsula, including spruce forest that have captured climatic changes since the ice age and Asia-Pacific-type Japanese beech forests that are found in compact areas. 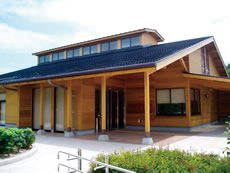 The visitor center is located at the entrance to these forests, and provides information about the many attractions of the natural environment and history of Odaigahara Plateau, as well as about seasonal sightseeing spots. Honshu-Sainantan Shiokaze-no-Kyukeijo(Rest House at the Southernmost Point of Japan's Main Island is a rest area in Cape Shionomisaki that also doubles as a lookout spot. 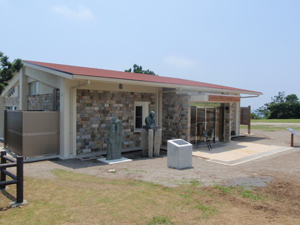 In addition to an observation terrace that looks out over the majestic Pacific Ocean, the rest area features natural sites characteristic ofthe Cape Shionomisaki area, and presents the history of certain regions in Australia (Thursday Island, Arafura Sea) that attracted Japanese workers in search of white pearls.